At this point I should be diving headlong into the worlds of the Seventh Doctor. 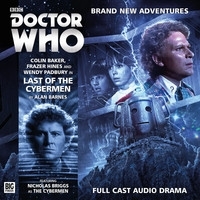 But, after the diversion afforded by the recent Fifth Doctor trilogy, there’s another trilogy that needs some attention. This one’s bloody hard to classify and chronologise, however, since the central conceit surrounding Big Finish’s celebration of 200 Main Range releases is that Doctors Five, Six and Seven have temporarily taken the places of their younger counterparts One Two and Three. They have become locums. 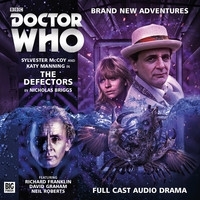 While it might be easy-ish to place the stories from the point of view of the supporting characters – Jo Grant, Jamie and Zoe, Vicki and Steven – it’s a lot harder to do so for the Doctors themselves. So these stories, while they are obviously officially part of the Folly’s remit, aren’t going to have official numbers. I think I said, way back in the mists of time, that this was going to be something of a quixotic crusade. How right I was, how right….